"'The main thing in life is not to be afraid of being human.' Aaron Carter"
Robert Rodriguez may not be a household name, but the range of this director’s work proves that he is willing to take on any genre with his signature manner. From Once Upon a Time in Mexico to the Spykids franchise to Sin City, he has proven that he is a risk taker when it comes to his filmmaking style with varying degrees of success. 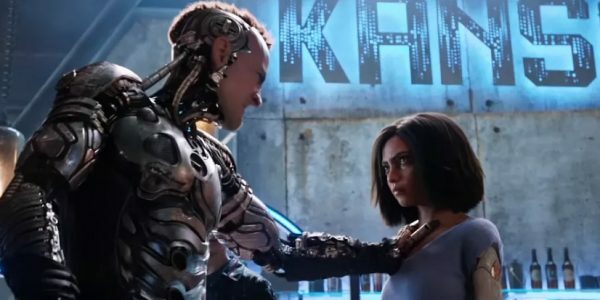 Alita: Battle Angel gives Rodriguez a fresh platform to ply his skills in the realm of the world of Manga storytelling and new digital technology. With James Cameron (Avatar, Titanic) on the production and writing team, this collaboration has the potential to reach great cinematic heights or to implode in on itself. Set in the year 2563, the world is separated into the Iron City of the land and the sky city of Zalem. Due to the devastating effects of the war labelled as ‘The Fall,’ the two worlds live in a tense co-existence of human and cyborg. Dr. Dyson Ido (Christoph Waltz) is a leading cyborg scientist and physician in the Iron City and continually scavenges for tech that has been disposed of by the sky city’s population. One day as he works through Zalem’s rubbish heap, he comes upon the intact upper torso of a young cyborg teenager who remarkably has survived the fall from the sky city. 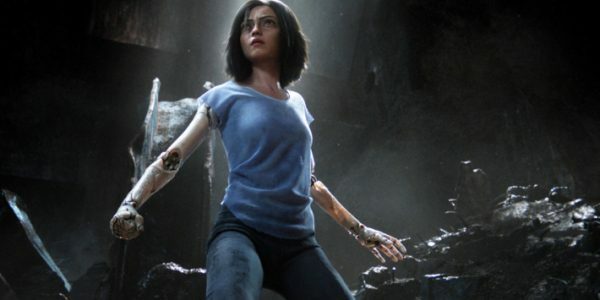 The renowned scientist manages to save her life by providing her with a new body and names her after his deceased daughter, Alita (Rosa Salazar). As she awakens in Ido’s laboratory and comes to the realisation of her surroundings, Alita tries to piece together the fragments of her past. With a new lease on life and a new band of friends, this young mix of humanity and machine quickly begins to see the dichotomy of the beauty and the evil of the world in which she finds herself. Even with her loss of memory, her body starts to naturally respond to different challenges that come her way in playing Motorball and by merely walking the streets of the city. When she discovers that her ‘father/creator’ maintains a dark lifestyle at night, Alita begins to see that her past skills provide a new life as a Hunter-Warrior that makes her a target for the head of the underworld, Vector (Mahershala Ali). What proves to be the biggest challenge for Rodriguez in translating the nine volumes of Gunnm (Translated: Battle Angel Alita) to the big screen is knowing when enough is enough. The rich story affords a multitude of possible entry points and stoppages, but this seems to be more of a struggle than a benefit for the Spykids director. In an attempt to introduce the world to this familiar face within the world of the Manga landscape, the film suffers under the weight of too much too soon. The film has so many of the necessary elements for a great sci-fi franchise with a strong female lead, multiple Academy Award-winning acting talents, the reintroduction of 3D technology and the advancements of capture motion effects, but fails in one crucial category, a well thought-out script. With a budget that will most likely exceed $200M (US), it is astonishing that so little attention was given to the story. It is not always easy to translate graphic novels to the big screen, but Rodriguez has proven that he is capable of that with Sin City. What seems to have happened with this production was a strong emphasis on special effects and an underlying hope that no one would notice the woeful script. This all could have been excused if the film managed to show that it was self-aware of being a B-level film with A-level wrapping, but that does not prove to be the case. Eventually, it is difficult not to feel sorry for Christoph Waltz, Jennifer Connelly and Mahershala Ali for signing on to this project and to be given such poor dialogue. Rosa Salazar does carry the film and receives most of the best lines, but things do prove to be a bit too much for this pint-sized dynamo to keep on her shoulders.